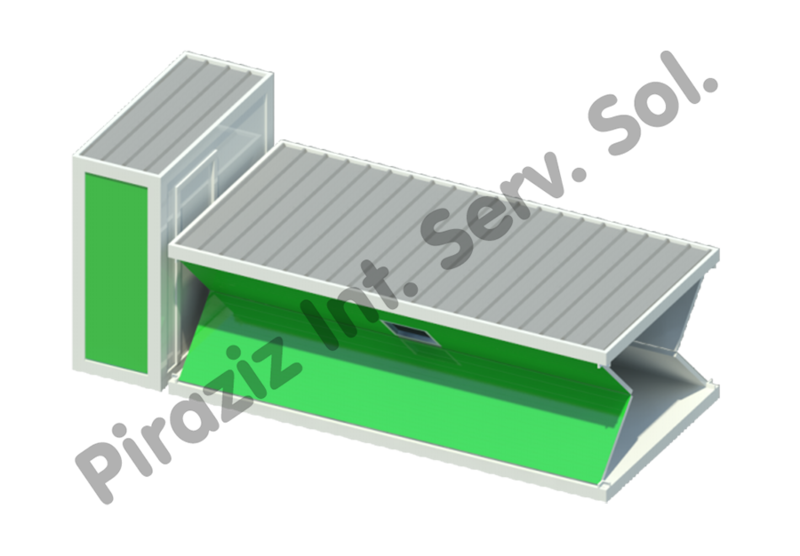 Foldable Containers | Piraziz Int. Serv. Sol. 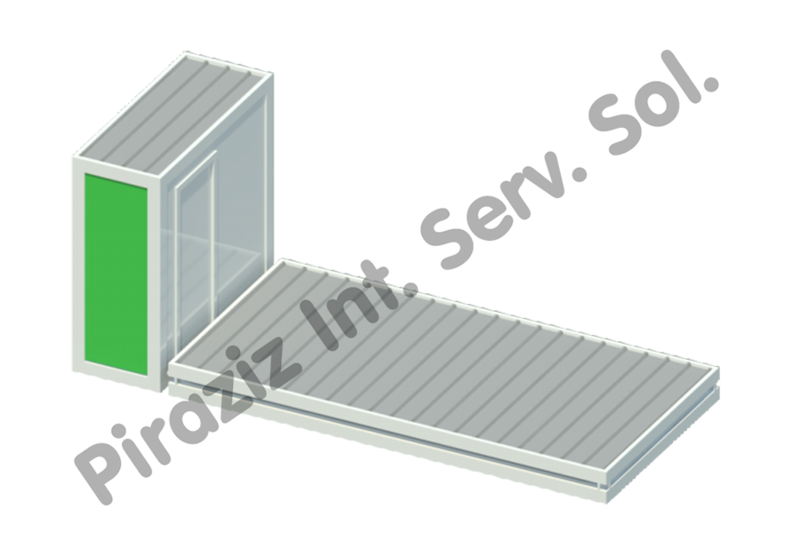 Intertwinement is the logic of our foldable containers which are designed as in dimension of 3.00×7.00 m. H:40cm or 2.40×6.00 m h:40 cm as folded position. 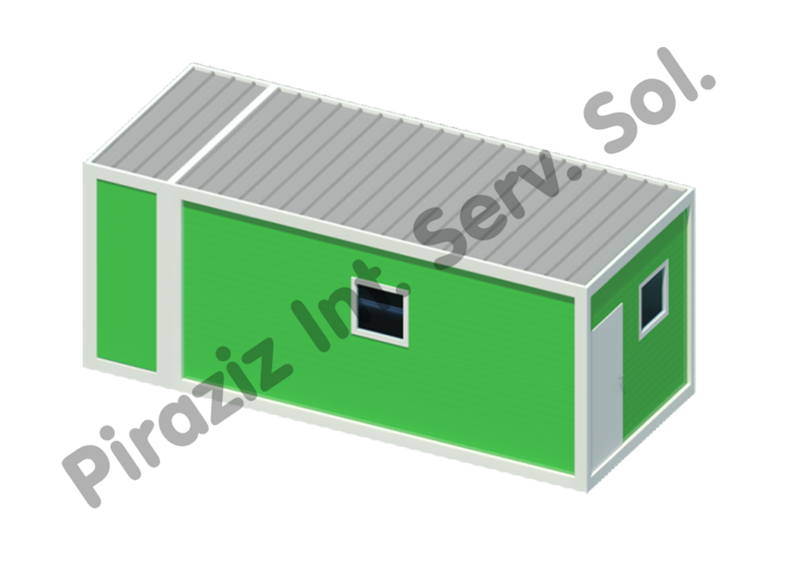 When assembled it becomes a module in dimension of 3.00×7.00 m h:2.40 m or 2.40×6.00 m h:2.50 m. Shower module is assembled to this containers separately. Approx. 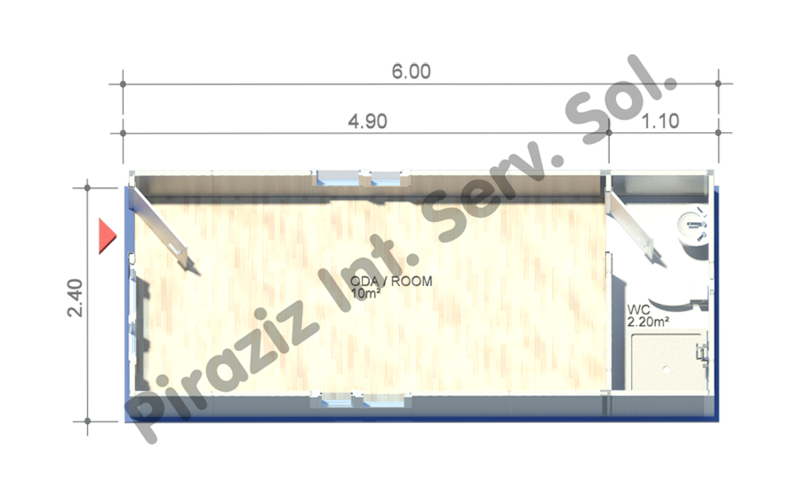 14 pieces of 240x600x40 cm can be transported in a truck as they are foldable.